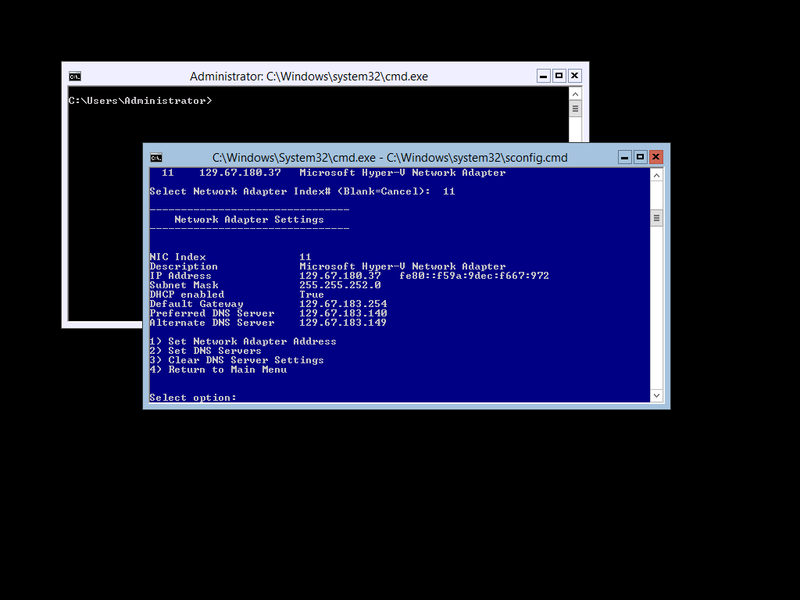 In this final post we’ll cover the Configuration of Network Settings and setup of Remote Management for a Hyper-V 2012 R2 Server which will be managed from a Windows 10 Enterprise PC. 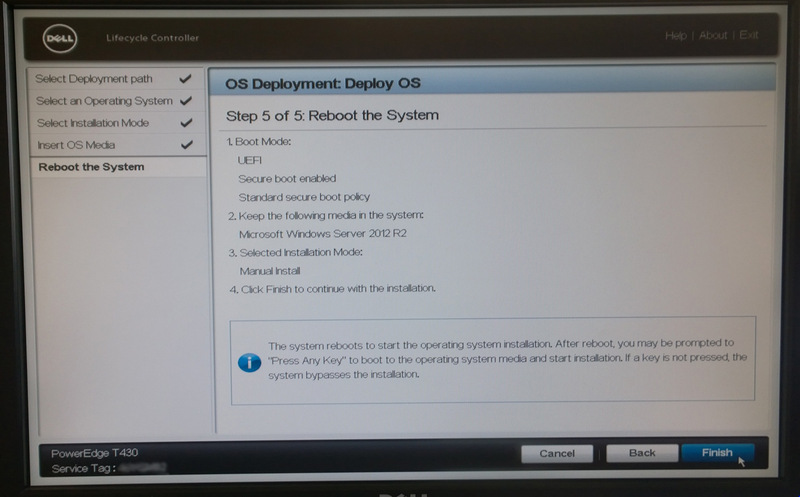 There are quite a few steps to go through for this part of the configuration of the Hyper-V deployment however a number of these steps can be applied to the servers through Group Policy and thus removing the need to repeat them again. 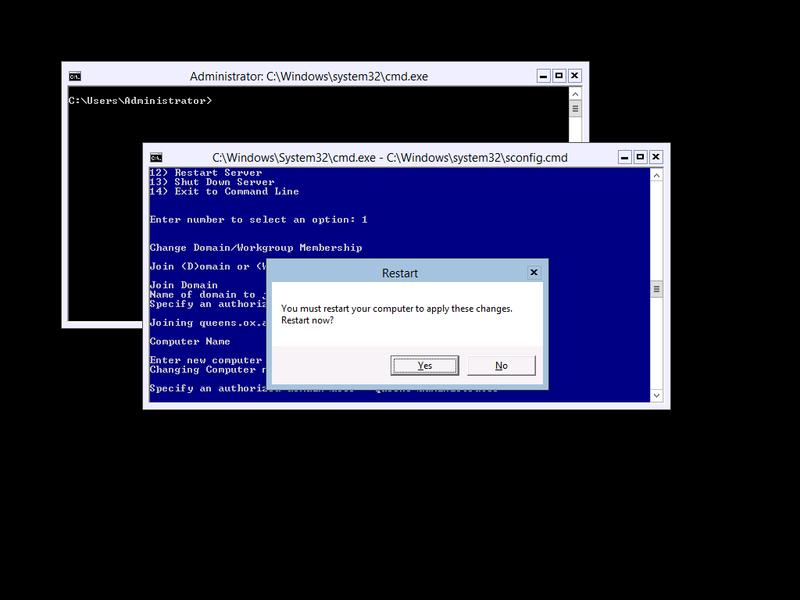 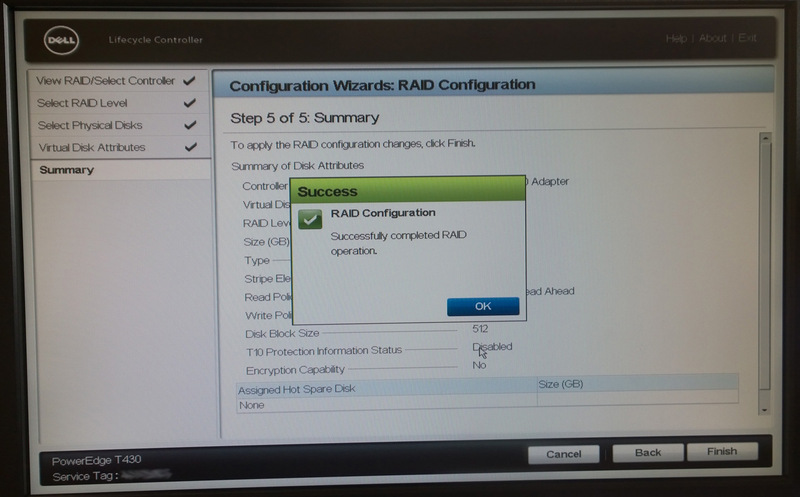 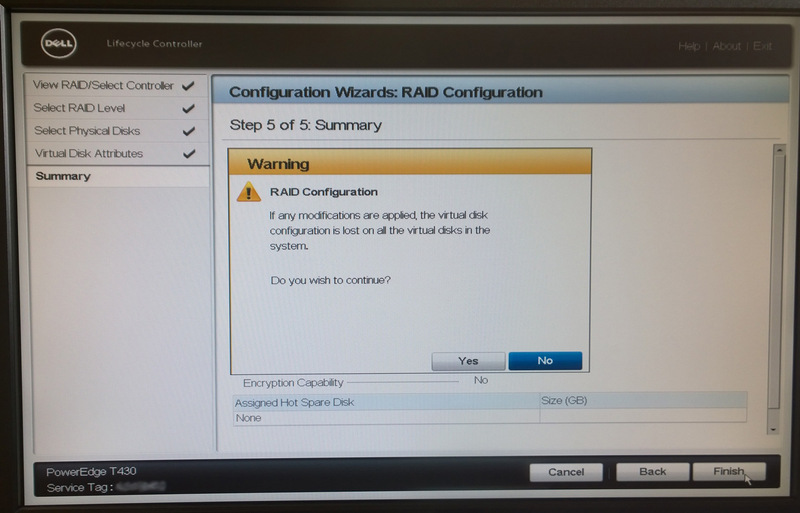 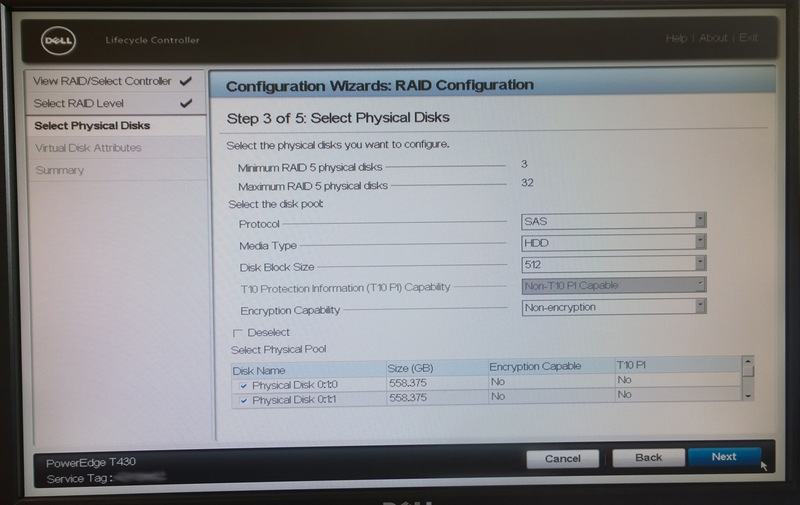 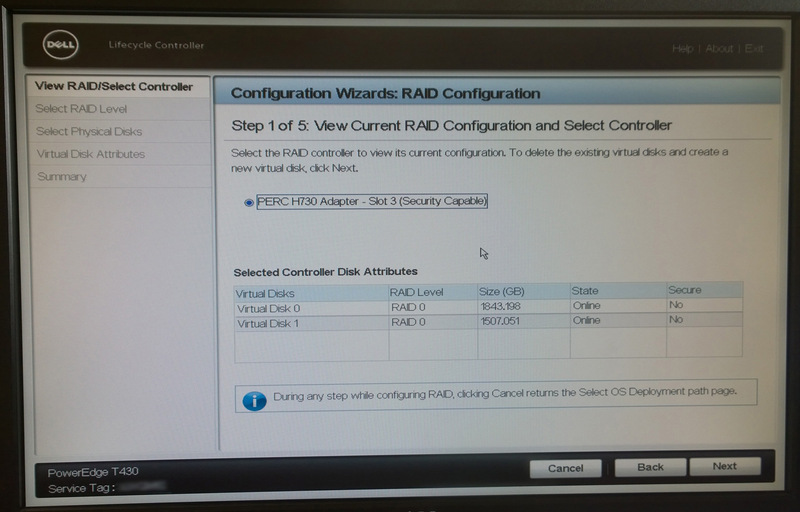 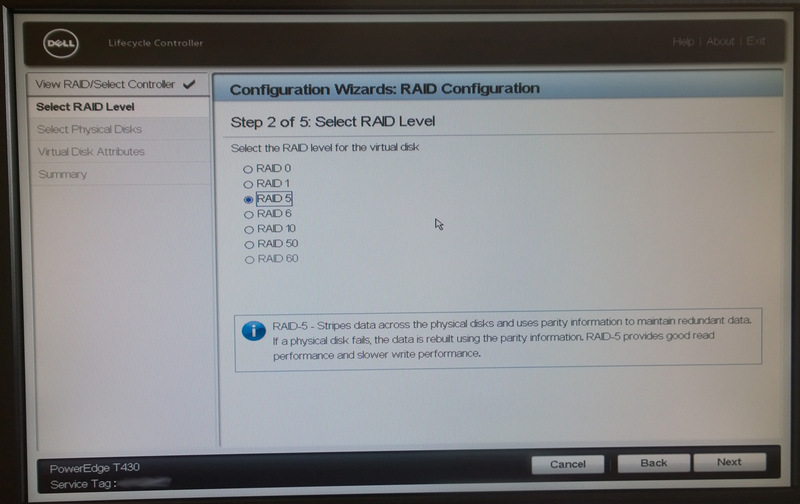 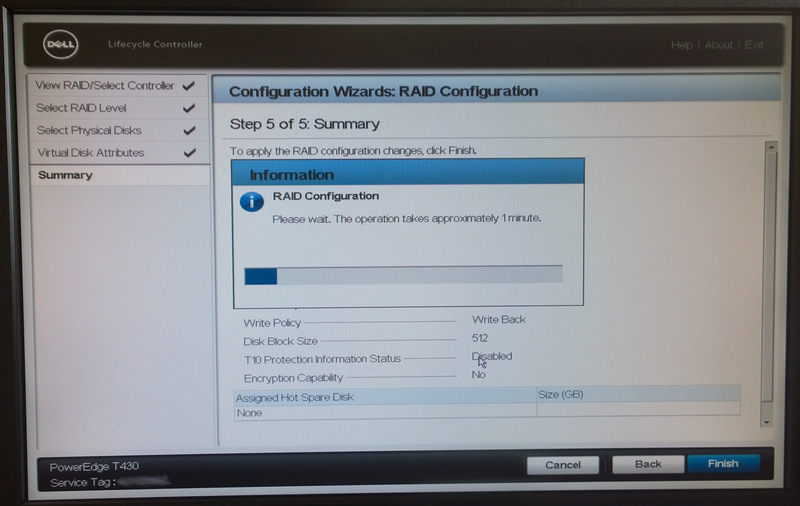 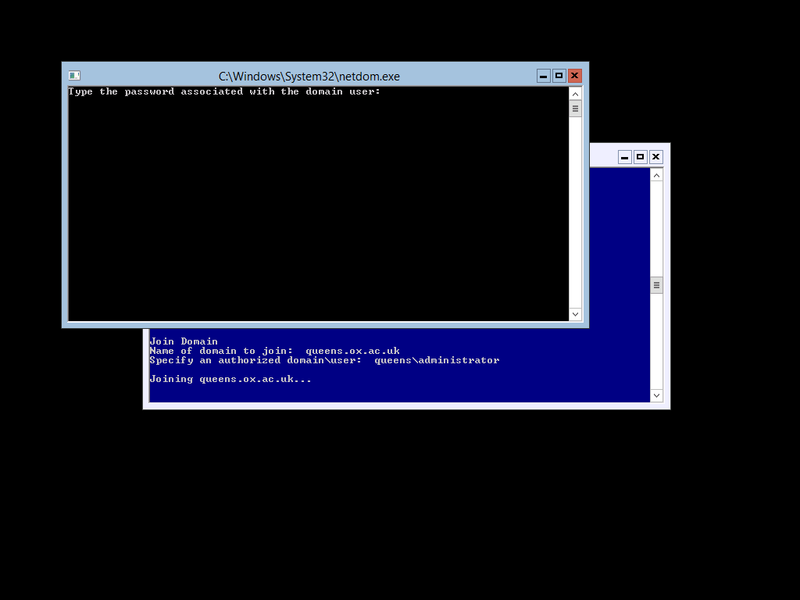 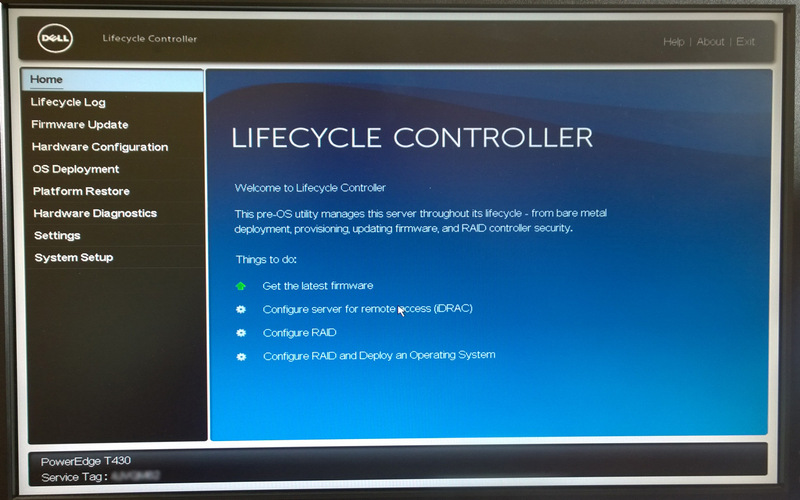 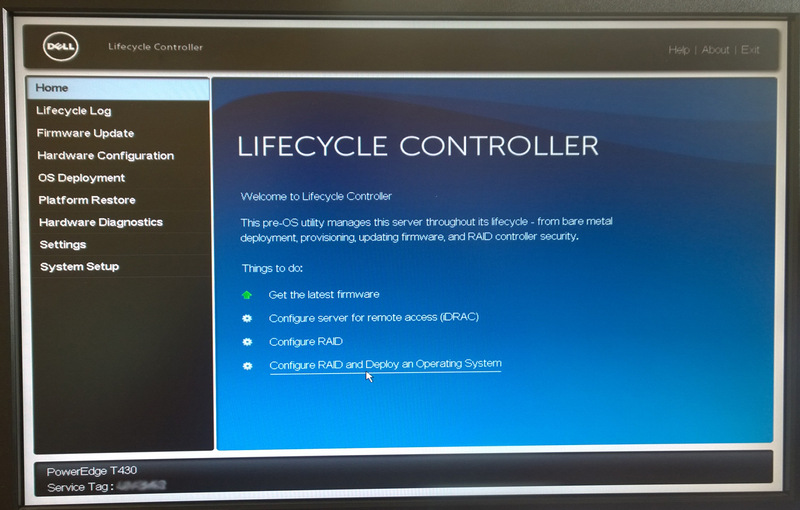 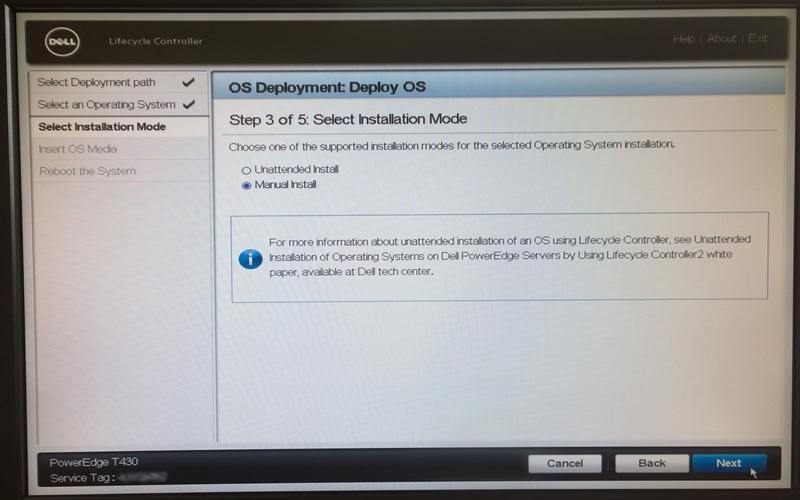 In this post I will be covering the basic configuration of iDRAC as well as getting ready for the installation of Windows Hyper-V Server 2012 R2. 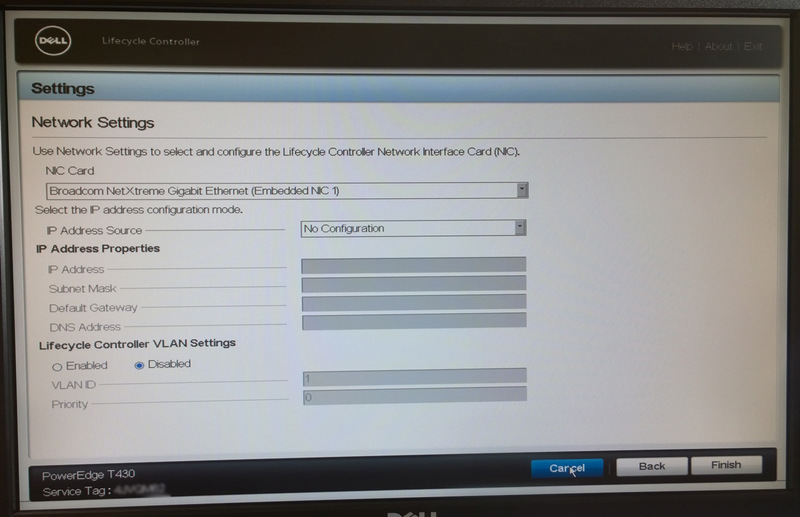 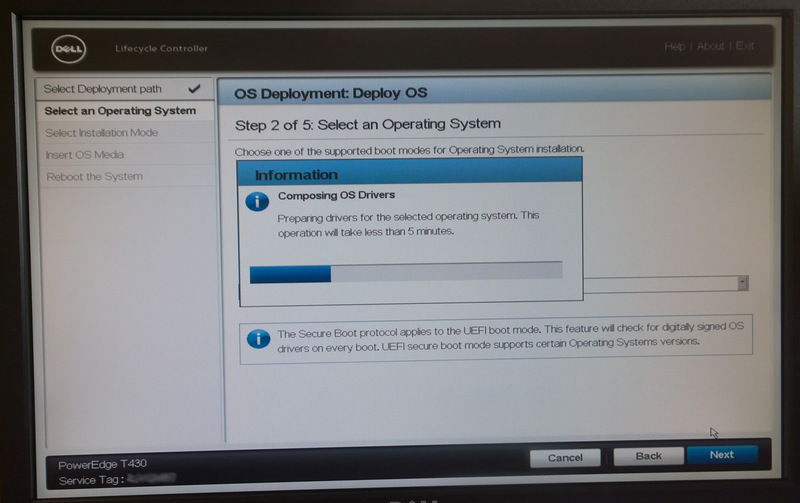 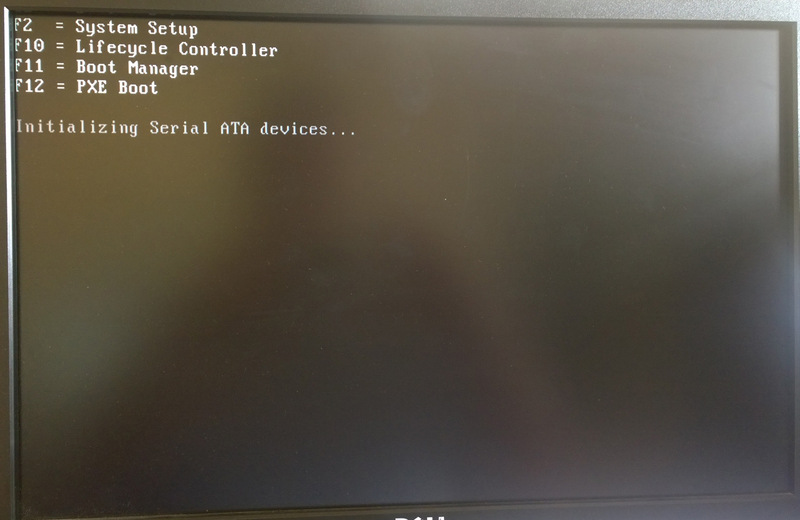 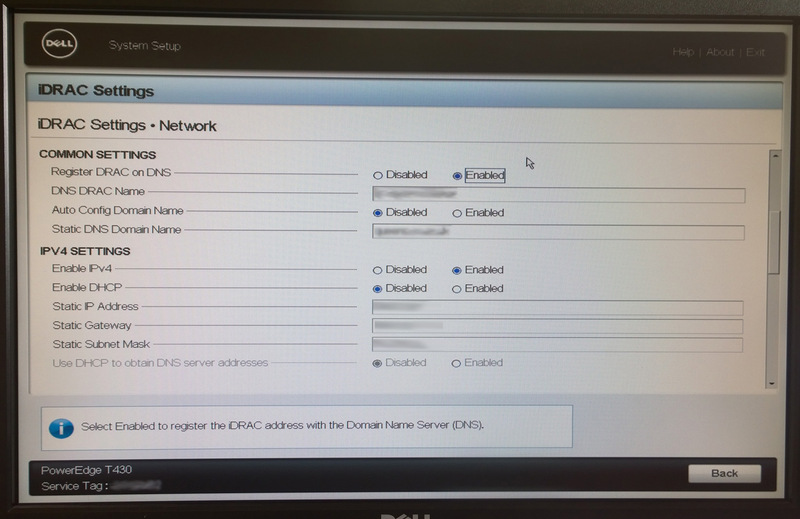 In this server configuration I have plugged a network cable into port 1 of the on-board NIC which will (initially) be used to host iDRAC, the management connection for the OS as well as shared with the first virtual switch. 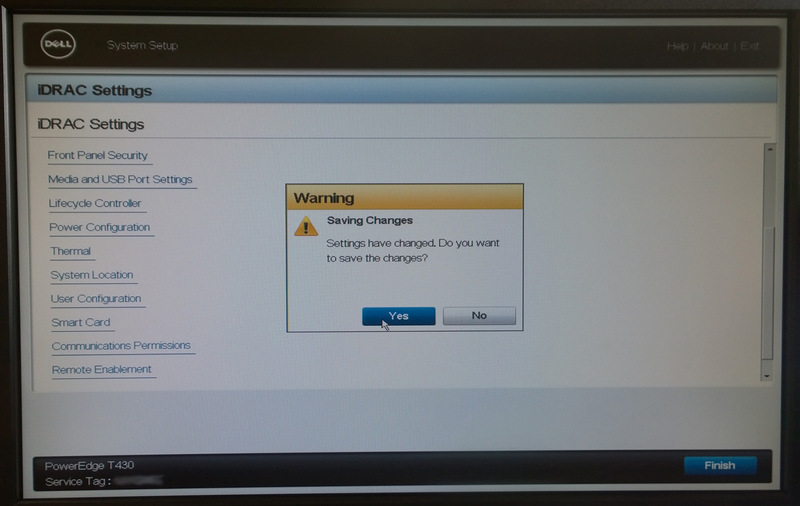 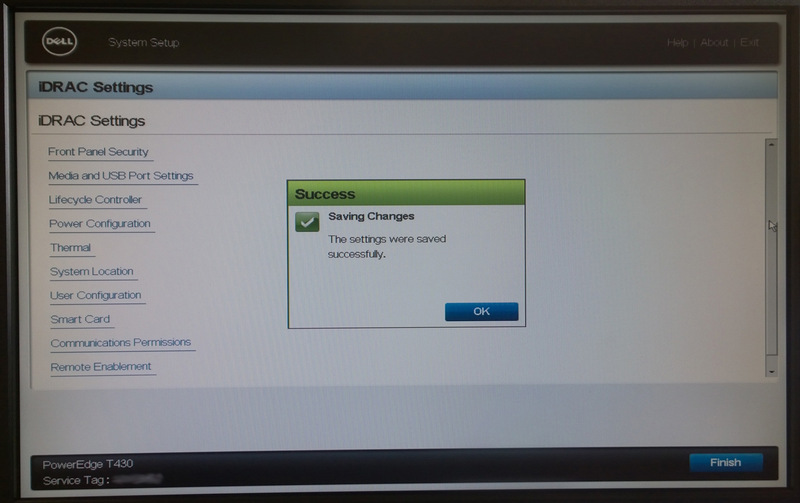 At the time of writing there was a limited number of free network ports on the server room switch – a later post will show a fully configured setup. 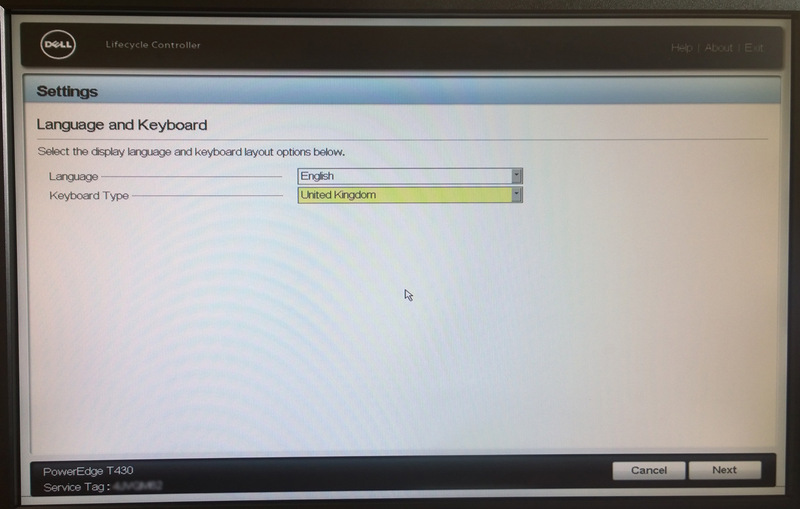 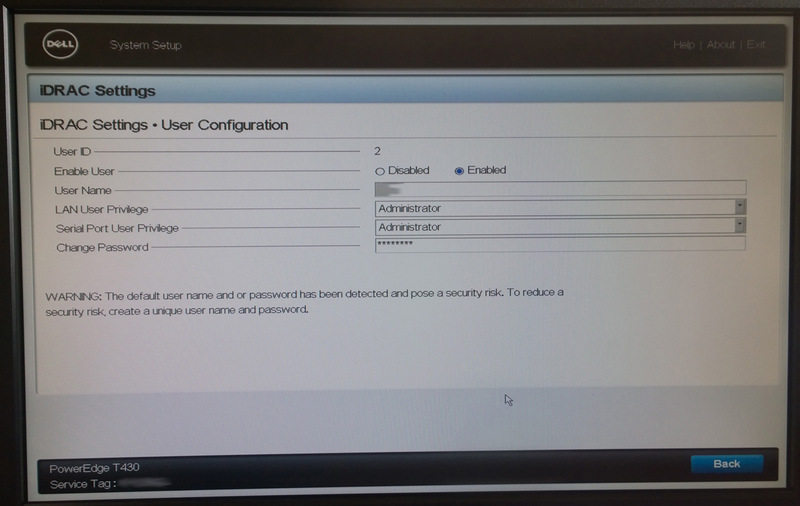 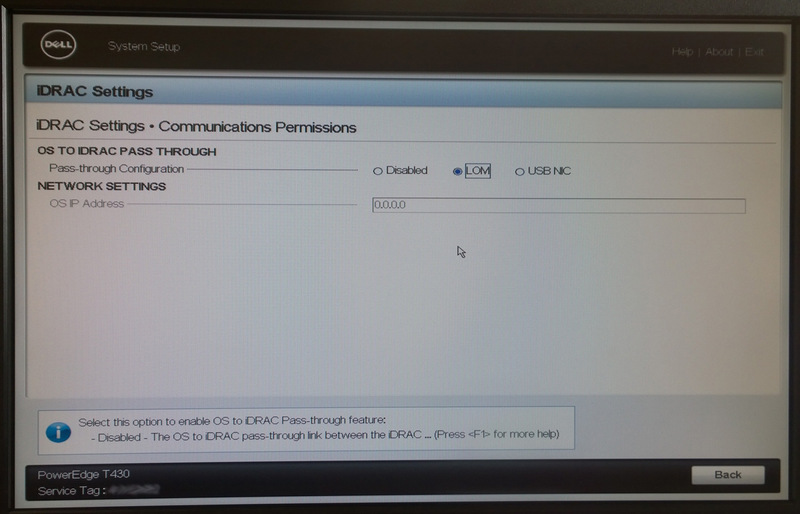 Next is configuring the iDRAC interface and setting a password to limit access; not that with iDRAC Express the port used by iDRAC can also be shared with the Operating System; with DRAC Enterprise you get a dedicated management card which has its own NIC. 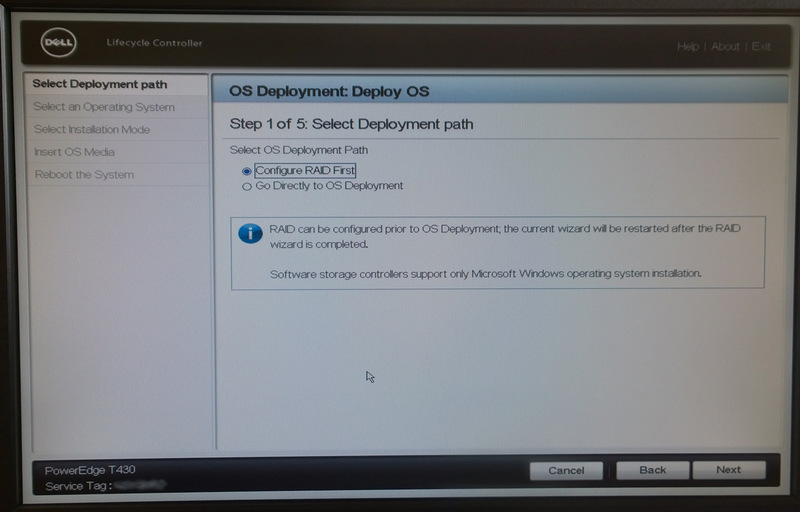 Finally iDRAC is particularly useful with a quick and easy setup of your RAID array as well as streamlining the installation of Windows Server by presenting the installer with a complete set of drivers at install time (saving a significant amount of time later on by removing the need to hunt down and install the drivers yourself!). 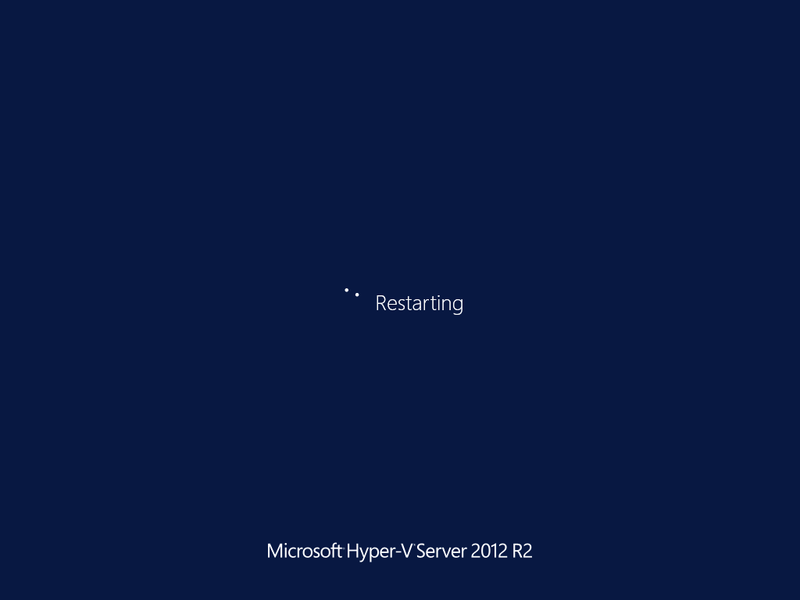 In the next post I’ll be going through the steps to install Windows Hyper-V Server 2012 R2. 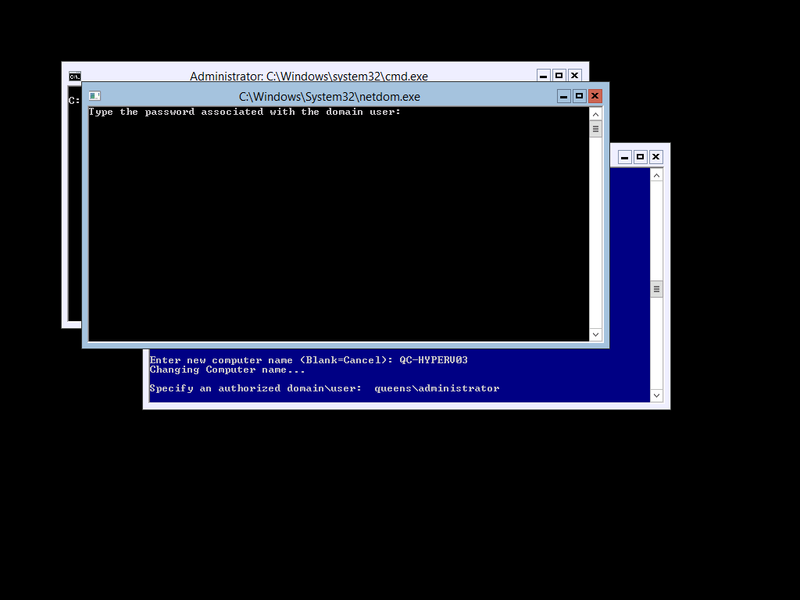 Hyper-V Remote Management RPC Server unavailable. 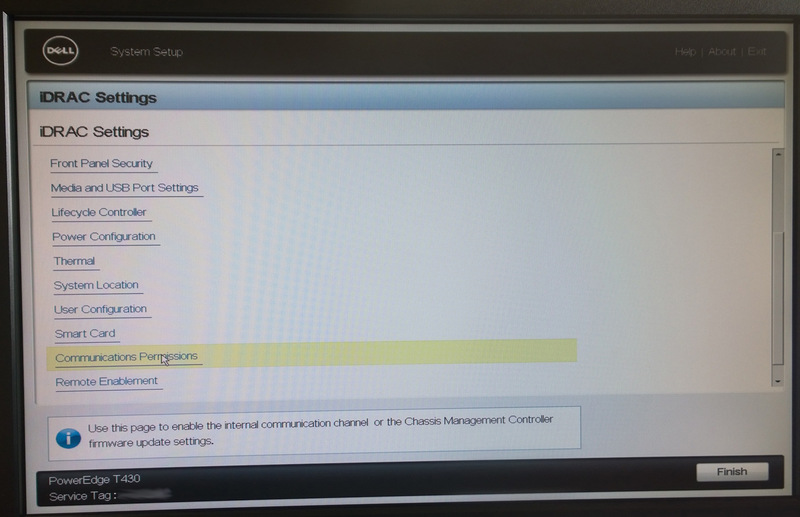 Unable to establish connection between Hyper-V Host and Client PC. 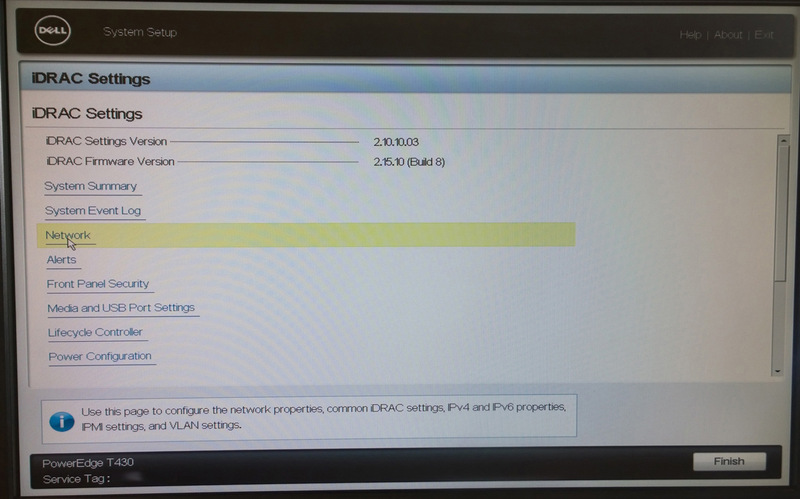 An interesting quirk of running Virtual Machines for this post… the background is my ‘main work PC’ is currently running Windows 7; in order to remotely manage a Hyper-V Server 2012 R2 machine I had installed Oracle VirtualBox onto my main PC and inside that had setup a Windows 8.1 VM to remotely manage the Hyper-V Server instance. 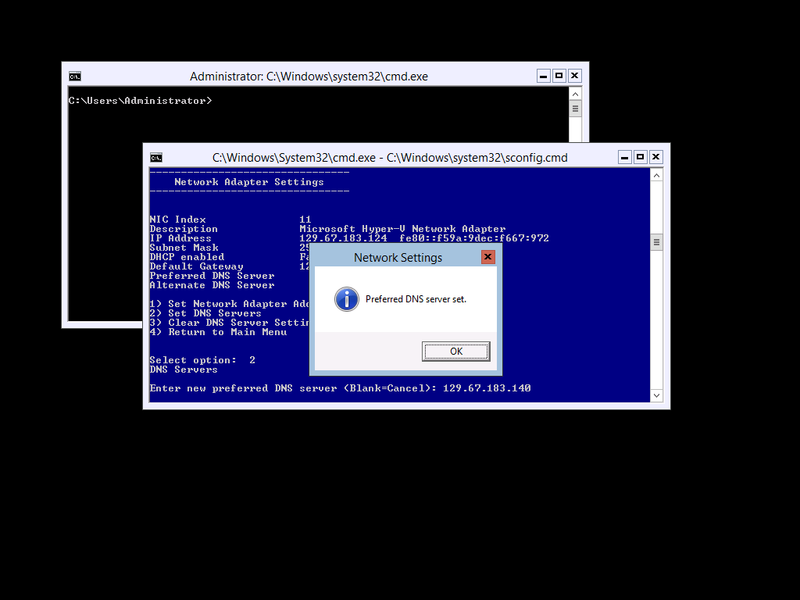 However after setting up remote management I found that I could connect to all of the remote management tools on my Hyper-V machine with the exception of Disk Management and Hyper-V Manager with the following error message generated in Hyper-V Manager. 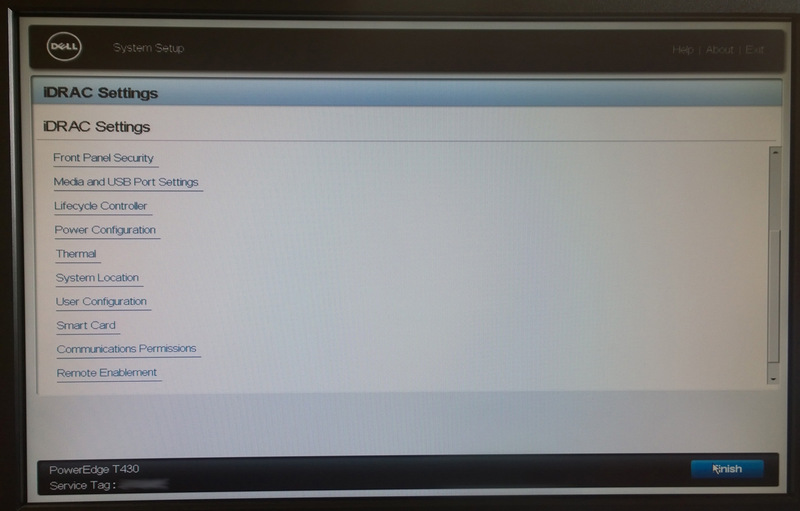 RPC Server unavailable. 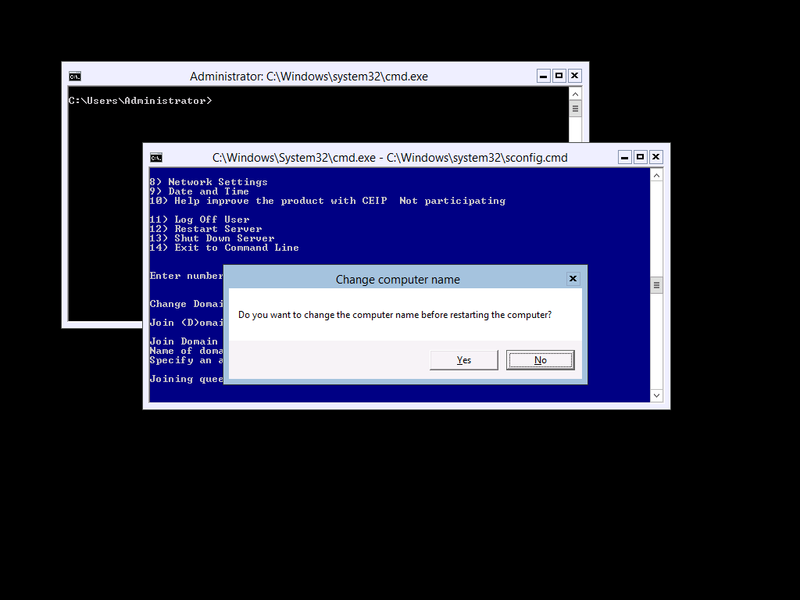 Unable to establish connection between <Hyper-V Host> and <Client PC>. 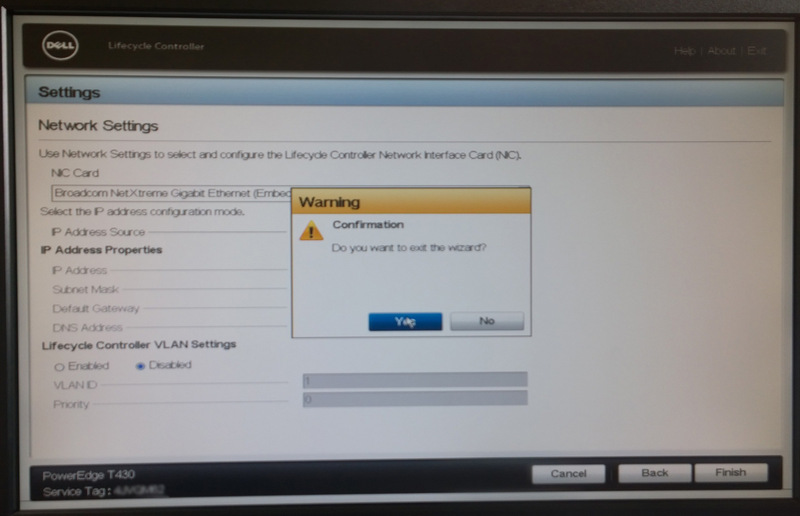 After much investigation into this issue (and after following a number of dead ends relating to firewall settings, the hosts file and COM security) it transpires that the issue was related to the way that I had setup the network adapter within VirtualBox. In particular the adapter had been set to NAT mode, now given the properties of NAT it seems plausible that some vital information might have been mangled in the process – if anyone feels like doing some Wireshark on this to discover the cause then please do! 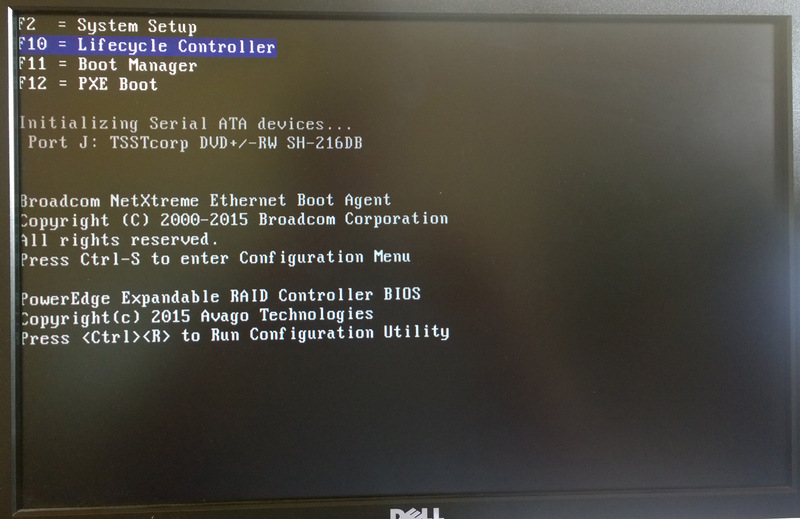 The resolution was simple – setting the adapter to bridged mode instead which allowed the traffic to pass through the virtual adapter just fine.